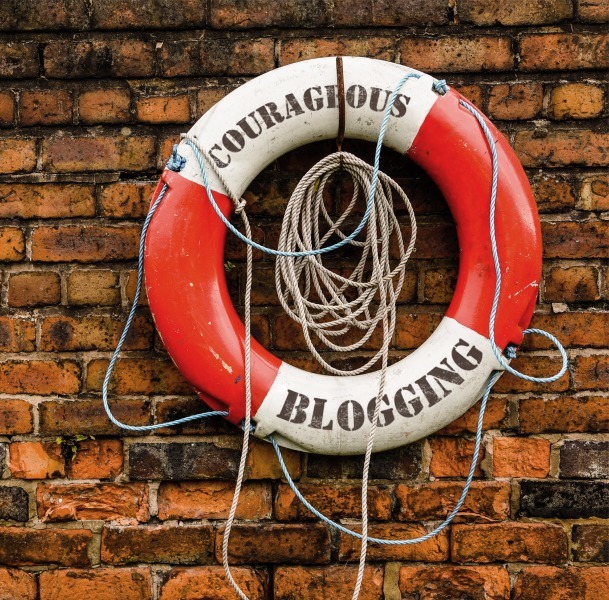 Today's Thought: Do you have the courage to be a blogger? By courage I don't mean the ability to say things that hack people off, and to be honest with you, just hacking people off is a cowardly way to get attention. No, I am talking about having an idea, throwing it out there for people to judge you on, and sticking with it to fruition. This is about the courage to do it, and it is also about having the drive and initiative to cultivate it and grow it. This is true for someone who writes a blog for a business or if someone writes a blog because it is the business. There is a little hard work involved if you are going to put yourself out there. Business Blog: You create a new soda pop (I know I always go with soda pop but I love soda pop) and you are already iconic for another soda pop. This new soda pop is radically different than the soda pop you are iconic for. Your reasoning for doing this of course is because your market share of your iconic soda pop is declining, and you require new revenue to grow your business so you throw your credibility out there on a new soda pop. The people who adore your soda pop don't see why you need to do this nor do they care, but you have to write a blog on it so that they aren't taken by surprise. The hard part is that the first wave of people that are going to read it are the rabid fanatics of your original soda pop and they are going to be less than enthusiastic. It will be a rough go of your blog for a while until others come who want to try your new soda pop. You still need to whether that storm and make it to the other side. Personal Blog: Here I can use myself. Every time I come up with an idea for some group play it is either ignored, or I have to encourage people along. Now this doesn't bode well for someone who fancies himself the King of all blogging, and gets about 35% of his traffic from blogging advice. Now I still do it because interactivity is important. THAT'S COURAGE! I had a blog where I offered to promote any and all blogs that took my advice, and not one person did. This didn't stop me from throwing my hat out there again, as I did the Tag Blog, which has needed some encouragement to be played along from week to week, BUT it is still going and it feels really good to see it grow and thrive. The risk reward for me, is personal satisfaction. I hope everyone out there can feel that and the only real way to do it is to earn it.